If you’re looking to bag some bingo bonuses and play for free then you need to know all about wagering requirements. These are terms and conditions that go along with your bonus and dictate what you can do with them. The ins and outs of the terms of a site might not be something that you usually check out. Wagering requirements should be part of your vetting process before you play somewhere though, as it will affect your winnings. Basically, these are conditions that come along with your bonus and you’ll need to satisfy them to withdraw. These come in all shapes and sizes, but ideally you want to find a site with a lower wagering requirement, as you’ll be able to withdraw that cash quicker. We will try and mention some of the best bingo sites with no wagering requirements as well or at least some sites that have no wagering bonuses up for grabs. mFortune has an excellent ‘keep what you win’ policy on their £5 free no deposit bonus. There are no wagering requirements whatsoever! 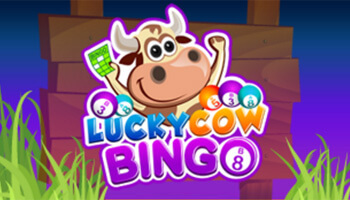 Lucky Cow Bingo offers low wagering requirements & an excellent welcome bonus. You can get up to 500 free spins! All offers are subject to T&Cs, find them on site. So, who exactly invented wagering requirements and why are they around for us players? For as long as there have been bingo bonuses there have been limits on how you can spend them. Sites want to offer players a great deal without them being able to take advantage. Even bingo sites with no wagering requirements may have different rules around what you can do with bonus funds or when you are able to withdraw. As you’re playing with what’s essentially free cash, wagering requirements are in place to make sure that each game is fair. For example, funded cash players wouldn’t want to be beaten to a jackpot by someone playing with a no deposit bonus. It’s also really important from a legal standpoint for the site, as they use these requirements to combat money laundering. Although wagering requirements may seem like no fun, if money laundering was an issue there could be no more online bingo! Sites are legally obliged to place the terms of their bingo bonuses in their overall bonus policy, which should explain it in no uncertain terms. Unfortunately, it all tends to get a bit complicated when you’re working out the figures, so here’s a no-fuss guide for you. What Do Wagering Requirements Look Like? Wagering requirements are usually expressed with the letter X and then a number. The X simply stands for times and the number how many, simple enough so far. So, if a site has an X4 wagering requirement on their bonuses, you need to play through the same amount 4 times. This is where it starts to get confusing! If you have a 100% bonus on a deposit of £10, then you have £10 of bonus funds in your account. 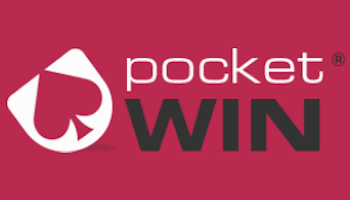 If the site has a wagering requirement of X4 then you must play through £40 to withdraw. Where Can I Find Wagering Requirements? The wagering requirements of a site can be found generally in the T&Cs or bonus policy of a site. You can find a lot of information here, like any expiry details or similar details that you’ll want to be aware of. These are all the things you’ll need to know, so it’s worth taking your time to look through these before you get down to playing. Playing through the bonus is a term that you’ll see on lots of bingo sites but the definition can vary. 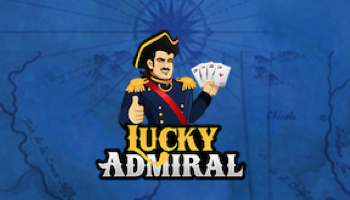 On some sites, this may mean wagering the bonus a number of times (in the above case X4) or adding more cash to get you on an even keel. If you’d rather just play with your cash and not become concerned with these details then you can usually opt out of welcome bonuses. This can be done by inputting a code, checking a box or talking to a representative from the site. It might seem bonkers to some players but others on the site might not want bonuses because their requirements are so harsh. These are some of the basics of wagering requirements, the more you know about them the better you will do when you play. There’s a huge amount of variance between different sites so make sure you are aware of any T&Cs. Are All Wagering Requirements Created Equal? The short answer to this question is ‘no’ as terms vary hugely from site to site. 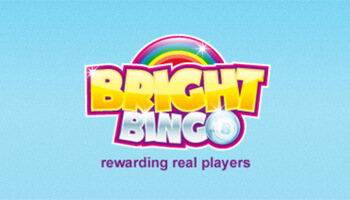 Some of them have different bonus policies that make the minimum withdrawal limits on bingo sites much lower than others. With some sites, your wagering requirement only applies on the bonus cash given – whether this is a no deposit bonus or a deposit one. On other sites, your real money deposit can be included in the wagering requirement too. To go back to our earlier example, this would mean your £10 real cash would be added to the £10 bonus funds, to give a necessary play through of £80 before you could withdraw. This makes a really big difference to players, so check out the terms to make sure you don’t get a shock when you withdraw. Now that you have a basic understanding of how wagering works it is time to look at bonuses and in particular, why they must be cleared. Although bingo bonuses are not as popular as they used to be, you can still claim lots of matched deposits and no deposit offers on a variety of sites. However, before you can truly profit from your bonus and any winnings that you accumulate, you need to clear the bonus. Clearing the bonus means fulfilling the physical wagering requirement. Once you have done this your bonus will usually become eligible for withdrawal or the winnings that you have accumulated using the bonus will be able to be withdrawn. Sticky bonuses can never be withdrawn whereas real money ones can provided the bonus has been cleared. What Happens if there are Multiple Bonuses? Sometimes a player can have more than one bonus active at any given time on a bingo site and this can cause confusion for a lot of players. The key question is do you have to clear all bonuses? Unfortunately, there isn’t a single answer to this question and it really does depend on the site that you are playing from. For example, some bingo sites will require you to clear all bonuses before you are eligible for withdrawal whereas some sites are more flexible and will allow you to clear a single bonus and claim your reward before moving onto the next. Yet again, we are going back to this age-old bit of advice – read the T&Cs! A lot of bingo sites will notify you of when you have cleared one or multiple bonuses and then you can click that all-important withdraw button. Remember that you will also have to meet the minimum withdrawal limit before you can withdraw as cash as well so bear this in mind too when looking to clear your bonuses. On some sites, you may need to use your bonus funds sooner rather than later to satisfy the requirements. This can be because of a time limit, which will clear all of the bonus funds out of your account when the deadline hits. In this case, it’s absolutely essential to know this information beforehand so you don’t get caught out. Another way that you may lose all your bonus funds is by forfeiting them, which can happen when you make a withdrawal. Usually, if you have funds in your account that you would lose the site will inform you of this but this can’t be said for all sites. The Good News? T&Cs are Becoming Clearer! That’s right, there is good news on the horizon for bingo players with regards to fair play. We are beginning to see further regulation of the gambling industry with new legislation currently being rolled out to encourage fair play and to ensure that bingo players are adequately informed of certain T&Cs, rules and restrictions. This is good news as it means that bingo players need to take extra care to look after their customers. 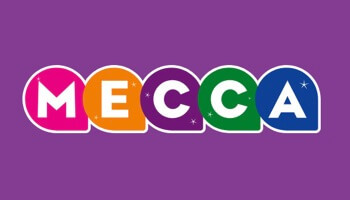 A recent example might be when the Gambling Commission ruled that Broadway Gaming Group were potentially misleading their customers on some of their brands including Dotty Bingo and Casino of Dreams.  The Gambling Commission found that Broadway Gaming was not adequately informing their players about the wagering requirements for certain games. Such as the seriousness and gravity of the offence that the company was fined a whopping £100,000. As a result, numerous other bingo operators have stood up and taken notice. Ultimately, the player will be the one to benefit from this development and we were happy to read that many other operators and networks have rewritten some of their T&Cs to make it much clearer for players on what to expect from their own respective sites in terms of wagering and bonuses. How Long Before I Get my Winnings? Yet again, this can vary massively depending on the bingo network or site that you choose to play from. You need to meet the minimum withdrawal limits on bingo sites and then you will be able to make the withdrawal using a payment method of your choice. Each site will have their own individual withdrawal times with some sites completing withdrawals instantly or within a couple of hours. However, other sites can take longer and it may take up to 10 days for the withdrawal to clear. The payment method that you choose can also play a role in the withdrawal time. Some methods take longer to clear than others but generally, this will be outlined on the site. There will be a section in the general T&Cs dedicated to the withdrawal limits which will show the various times for various payment methods. As long as you are aware of the terms and conditions on a site, you’ve won half the battle. So many players don’t feel like these can affect their play time but there’s a lot a site can put in the small print to change your outcomes. Wagering requirements are important to look into, don’t worry if you don’t feel like you fully understand them as you can always ask support on a site if you need more information. Displaying wagering requirements in an accessible place is a legal requirement for bingo sites, if you can’t find them then the site is doing something wrong! Bear in mind that wagering requirements can also vary from site to site, even if they are on the same network or can even be higher on certain bonuses from the same site. We always encourage our readers to check those T&Cs, as wagering requirements are just part of them! If you want to take the hassle out of things then just play at one of our recommended sites.